UPDATE: Virgin TV's smaller 500GB TiVo box available now for existing customers | What Hi-Fi? Existing Virgin TV customers can order the new smaller 500GB TiVo personal video recorder (PVR) from today. If you already have a Virgin M+, L or XL TV subscription, the box will cost you £50 plus standard installation charges. Those on the M+ and L packages will pay an extra £8/month for the TiVo service, while XL customers pay an additional £3 a month. 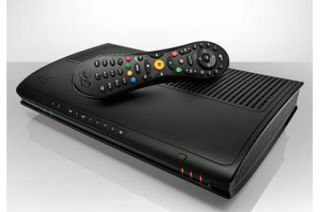 To order your new TiVo box, visit the Virgin website or call 0845 650 7777. New customers will be able to get it later this summer, says Virgin. For those who baulked at the cost of Virgin's new 1TB TiVo set-top box, there's a new smaller 500GB model on the way in May for £49.95. It will be available to Virgin customers with the 'L' or 'M+' TV subscription packages, unlike the 1TB box which is only available to those with the top 'XL' package. The 500GB version can record up to 250 hours of standard-definition programmes and retains the three tuners and internal modem of its bigger brother. Virgin also says anyone who has pre-registered for the larger 1TB TiVo box will get it at a discount price of £149.95 with free installation (normally £40).